So, you have a wax melt warmer… are you using the right wax melts? Let me tell you about my quest in finding wax melts that are using REAL essential oils and REAL ingredients. You inhale everything that ends up in the air, and I mean everything. Is that a natural product you are using? Are their natural essential oils or are there artificial perfumes? Is it good wax or imitation wax? So the package says beeswax, is it real beeswax? Yup, these are all legit questions you should be asking yourself. I am an asthmatic and react severely to artificial scents, this includes make up, perfume, candles, bad essential oils etc! AND I also learned that paraffin wax is BAD news for asthmatics… so I started looking into beeswax. Beeswax it turns out is completely safe for asthmatics… remember everything melted into the air ends up in your lungs! Why not make my own wax melts? How hard can it be? Turns out, a bit more difficult that I thought… but with some trial and error (OK lots of trial and error) I found a formula that works! 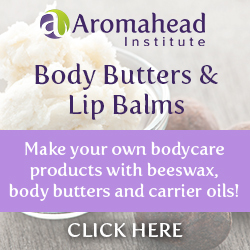 First: The List of Ingredients; Beeswax, Coconut oil, essential oils. For reals, that is it! Seriously, you cannot get more natural than that. Second: Make sure everything is as pure as can be! The oils, well they are from Young Living so I know they are pure. The coconut oil, well that’s a bit more difficult. I get mine from Amazon BUT you must make sure it is stamped with the correct organic label and check the source to make sure you are getting a PURE product! One thing, these wax melts are a bit meltier than most (yup I just made up that word). They are a bit greasy to the touch, but you know what… the residue doubles as a fantastic hand lotion LOL! It is coconut oil and beeswax after all, rub it in the skin! I have a few scents (so far) and working on more… they come in a bag of 5 STAR shapes OR my latest invention (sending a shout out to my hubby here who came up with the idea)… wax melt sticks! It is so incredibly important to know what you are putting into or onto your body, take this advice from someone who has to watch her surroundings at all times. Our bodies filter so much, so live as naturally as possible and get rid of those radicals you don’t need. 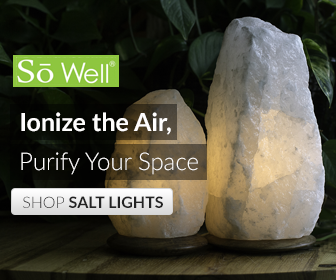 We all enjoy a great smelling home… just be conscious of what you use! I have been wanting to try out some wax melts in replacement of my candles because I am running out of them. I tend to use them during meditation at night, and sometimes in the mornings. I see that it took you a couple tries to make wax melts correctly, thanks for explaining it clearly though, will have to give it a try always up for a challenge. Hello Deep! Apologies on the late reply, I hope all is well! Have you given the melts a try? Did you need any tips? This is so cool. I didn’t know what wax melts were and that I can even make them at home. Sounds like a fun project. Thanks for sharing.